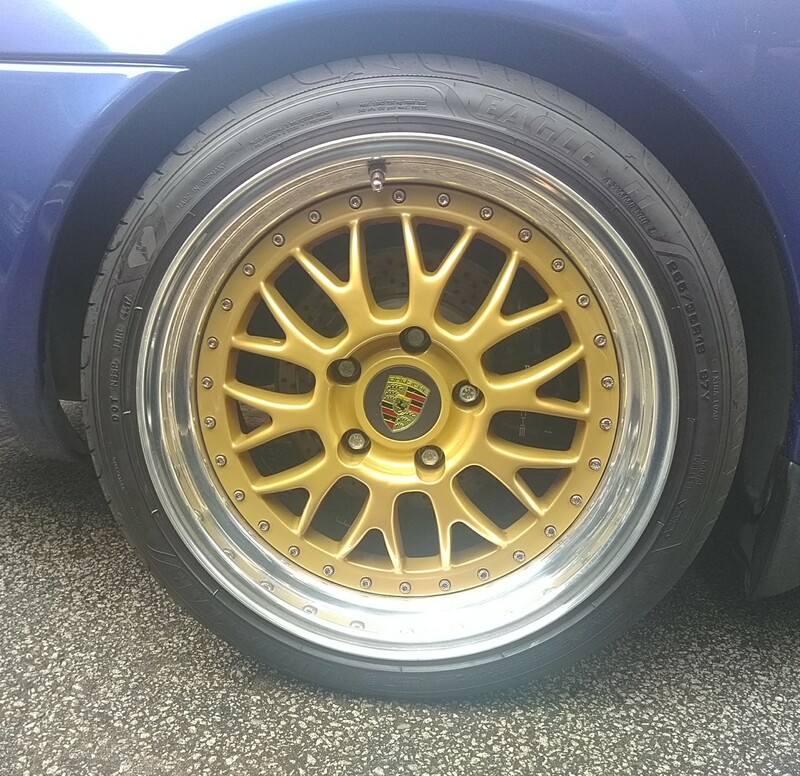 OKay Im thinking about selling the wheels, haven't had them that long but to be honest I think I preferred my car on the OZ Alleggeritta's so Id like to go back to them. 10in et40 rear. 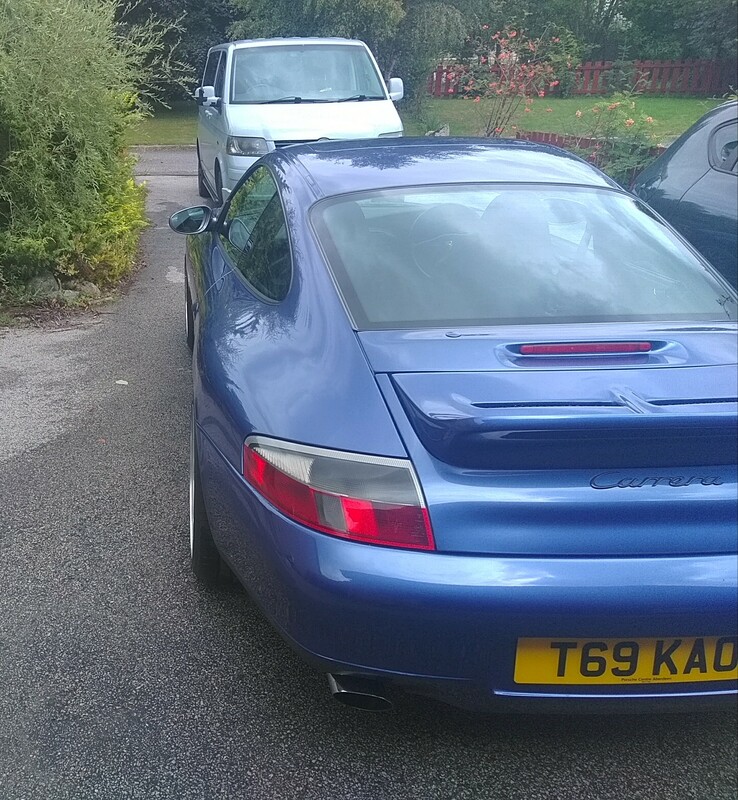 (right on the limit for narrowbody 996 but do fit with zero rubbing). They are 3 piece from Image. BPS design. Therefore they have a barrel, outer rim and face. This means you can alter wheel spec if required. Faces are in gold, outer rims are all bare alloy. 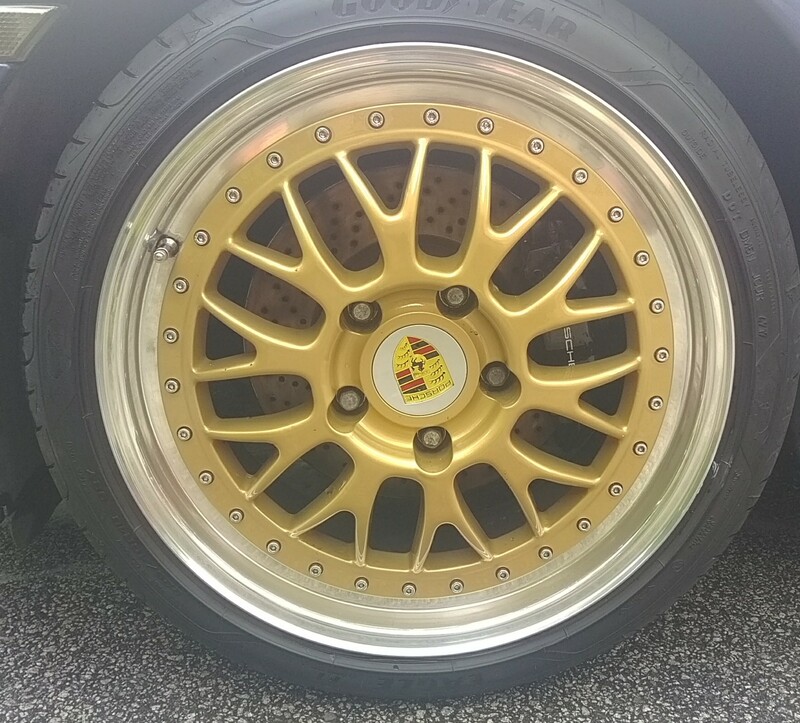 All in good condition with a few small marks on the outer rims. 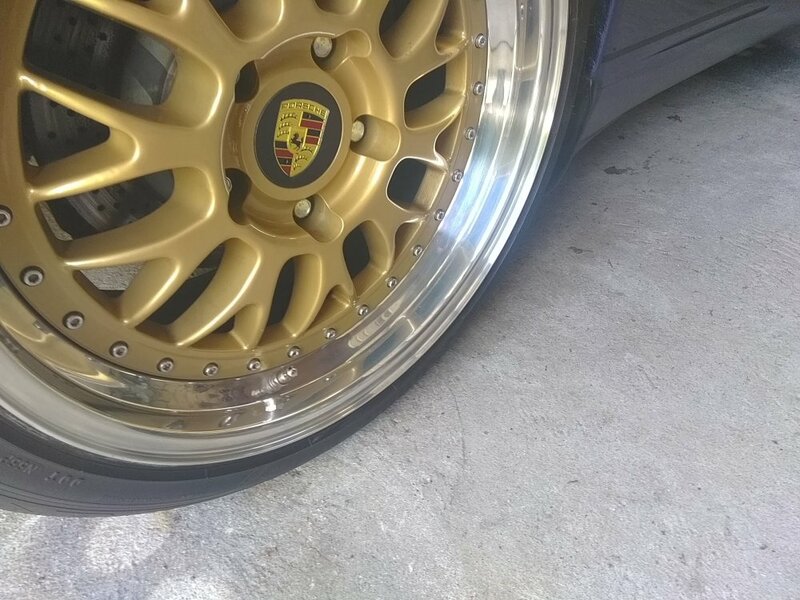 Porsche genuine centre caps. I would also be interested in swap + cash so let me know what you have. Never seen another set of these. Would also be interested in some Carrera lightweight / MY02 wheels or possibly Sport Classic II's as a swap + cash my way. Found something else so will go to £1350 for a quick sale. Last wee bump before I think about winterizing them. Would consider a swap + cash with any reasonable wheels to fit my car. Decided to keep these for now and get rim swapped over. Back up for sale, change of priorities on cars so looking to sell these. Now have matching outer lips with wheel all built up and tyre put back on. Will consider swaps with other 18's + cash my way. Found some other wheels so open to sensible offer on wheels only. No, its on M030 and normal geometry. The wheels have never rubbed at all and Ive driven a lot of fast roads with compressions in them. I even had 15mm spacers up front and again all fine. 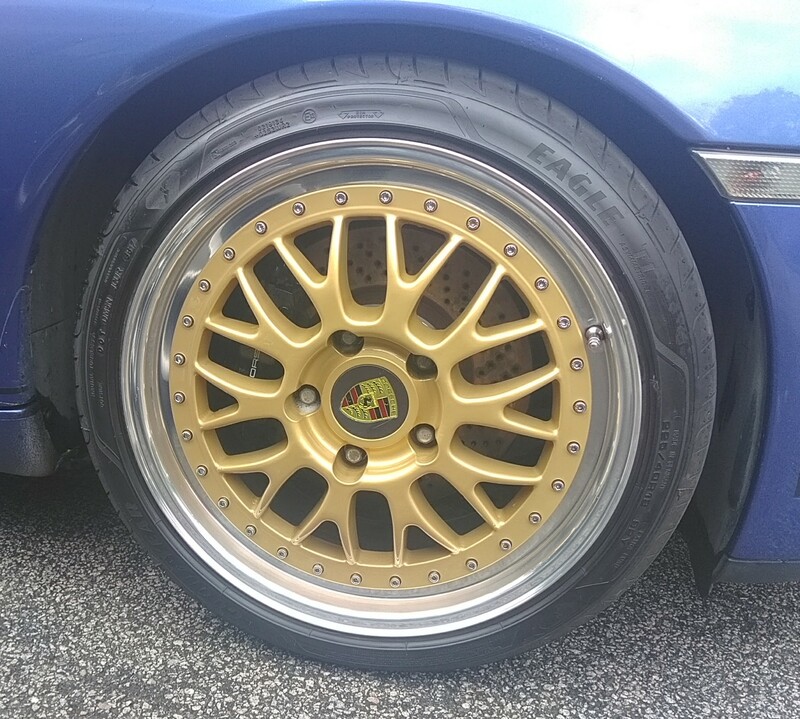 There is a guy on here with same spec rear wheels and lowered 30mm from stock (so I believe Gt3 height) and as far as I know never had a problem. I have some spare bolts as well and will include spare outer rim for the right deal. Amazed that these have not been sold straight away. 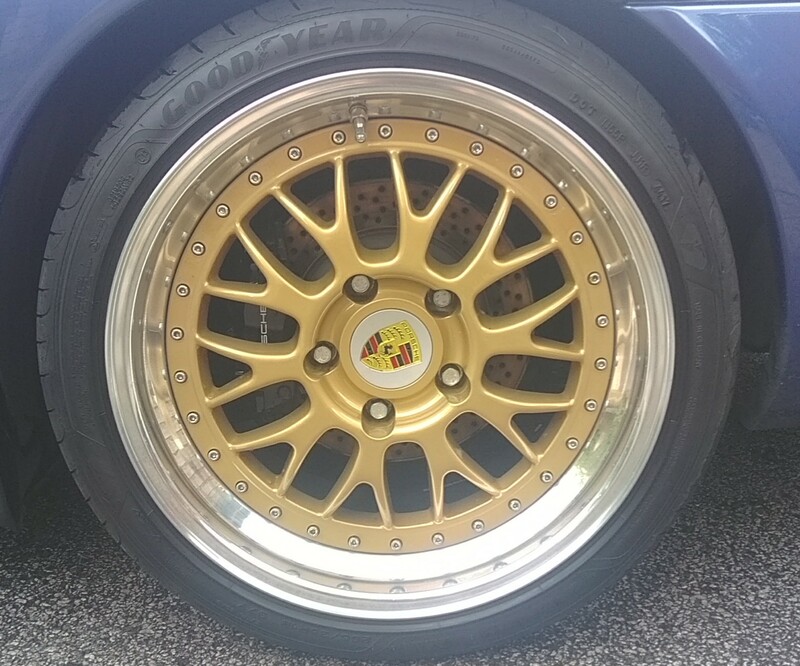 Thanks, I dare say if they had BBS on the centre caps they would have sold straight away. I've had a set of BBS LM wheels and these are on par for quality. £1050 Inc delivery to mainland to go this week. Might also be interested in a swap + cash for genuine aero front bumper to fit a MK1 996.